To select the top rail, first position the cursor on the rail then use the tab key to cycle though until only the top rail is highlighted, then select it. 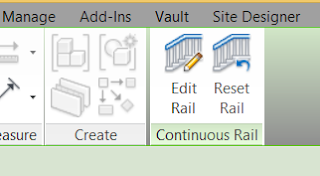 On the Ribbon, locate the Continuous Rail panel and click Edit Rail. Then on the Tools panel, click Edit Path. You can then, select a segment of the extension and press Delete to remove it. You can delete all of the segments if required. On the Work Plane panel, click Set. 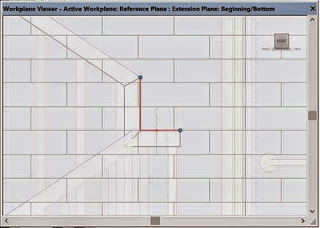 In the Work Plane dialog, for Name select Reference Plane : Extension Plane: End/Top or Reference Plan : Extension Plane: Beginning/Bottom, and click OK.
On the Work Plane panel, click Viewer. In the Workplane Viewer or the drawing area, select a segment to modify. For example, you can drag the end control to change the length, or move a segment and retain the joins to other segments. 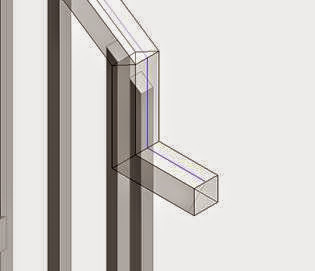 Use the sketch tools on the Draw panel to edit the rail extension. 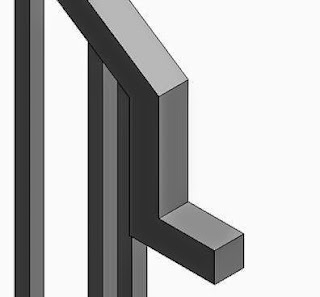 On the Joins panel, click (Edit Rail Joins) to specify mitre or fillet for individual joins. 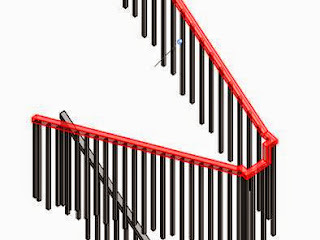 The resulting modified rail is as shown.